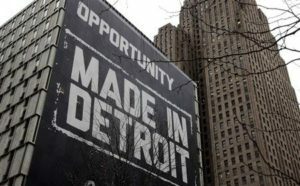 Reuters published an analysis that announced the city could exit bankruptcy when Detroit’s 170,000 creditors will vote on a potential deal to get out of bankruptcy. The state of Michigan, the city of Detroit, and other philanthropic foundations like the Knight and Ford foundations, will contribute to the bankruptcy deal. They will help reduce salaries of city employees, contribute money and help Detroit balance their books, which are burdened by their retirement payment system.